Reminder, the next and final lesson in the JLI course, Great Debates, will be held on Tuesday, December 5 at 7:30 pm. Should Judaism be just in the home or in the public sphere as well? 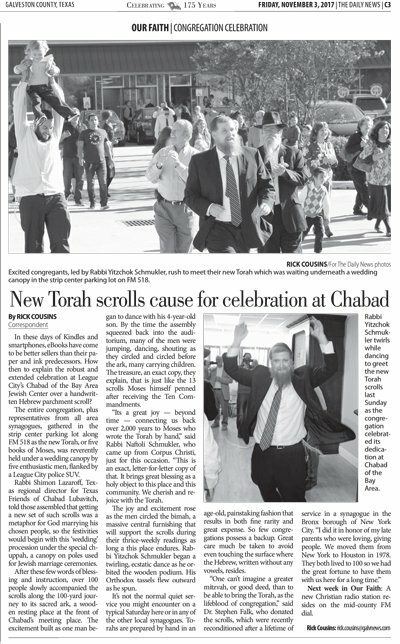 NEW PHOTOS: Torah Welcoming Celebration! 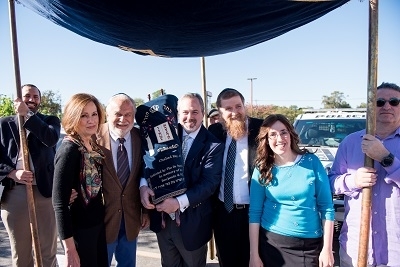 Torah portion of Chayei Sarah - Sarah's passing and the very first "Shidduch" - the marriage of Isaac and Rebecca! Service followed by light Kiddush lunch w/ hot cholent! PLEASE NOTE: Services will not be held next week, Shabbat, November 18. 'Great Debates' off to a great start! Our new JLI course, Great Debates in Jewish History, was off to a great start this week! Get 10% off when booking for two! Schedule Note: Classes will be held on Tuesdays, with the exception of the 3rd lesson which will be held on Sunday, Nov 12.